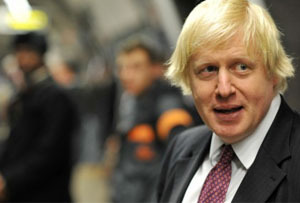 Boris Johnson tripped across London on Thursday afternoon to get all dewy-eyed about London’s tech scene. Tech glitterati, including Mind Candy founder Michael Acton Smith, Decoded chief exec Kathryn Parsons and Framestore boss Sir William Sargent, gathered to hear Boris do his bit about why London should be the ‘tech capital of the world’. We’re not sure why there had to be an event to announce this: the government has ploughed at least £50m into creating Tech City in east London. David Cameron has said at least 80,000 times that he wants London to rival Silicon Valley. But Boris clearly thought his proclamation deserved an event. ‘There is nowhere to rival London for tech firms to thrive and grow,’ he trilled. ‘We have the talent, the investors and the entrepreneurial spirit.